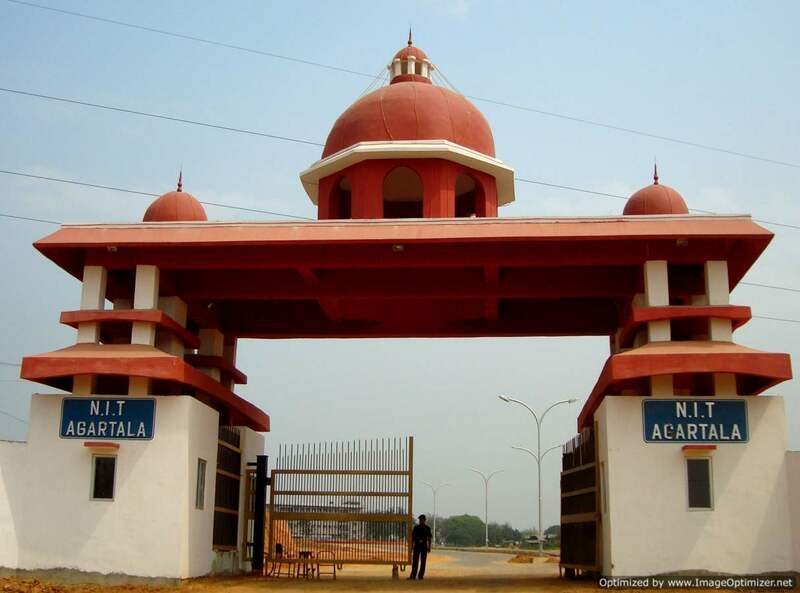 NIT Agartala is a very decent college located in Tripura. When I was first allotted there through CCB after my AIEEE (now JEE Mains), I was really worried about the place. I along with my parents was having mixed feeling about that place. Then after discussing with some of my relatives who were in Guwahati we finally agreed on joining NIT Agartala. So finally we booked our tickets and arrived Agartala in early June 2012. Agartala town is a small but very nice city less crowd less polluted and very less traffic compared to other capital cities in north India. We took an auto for NIT Agartala which is around 30Kms from the airport. The journey from Agartala city to NIT Agartala is really awesome roads are surrounded by lush green trees and mostly paddy fields. It takes around 45mins to reach there. College is located in a village called Jirania when we entered this village I was really disappointed that I will have to stay here in this village for the next 4 years. But suddenly some very big building started showing up and our driver told us that we are about to enter the campus. This made me really happy and within few more minutes, we entered in the campus. It was really wonderful almost like a small city confined in the boundary. There were four separate boys hostels at that time. Among these Aryabhatta is really big. It has 5 different blocks each having a capacity of 500 students. There is a girls hostel equally big called Gargi. In the beginning, I was really worried about the food but food in the mess comes out to be fine. They serve non-veg items for dinner 4 days in a week so vegetarians might find it little disappointing as veg substitute was not always that good. Now coming to the academics NIT Agartala has separate buildings for almost all the departments. I don't have much idea about other branches but I am sure of CSE that all the faculties in CSE departments are up to mark. They will always keep you boosted. Here in this department, you will always be motivated to do projects of your wish and discuss this with the professors of your choice. They also have a super computer in CSE lab which is I guess the first in the entire northeast region. They also have exclusive mac lab where they have few mac desktops where you can develop mac and ios app if you are interested which is really awesome and helpful for the students. NIT Agartala recently inaugurated their sports complex which is really big and is having almost the facilities like a big indoor stadium, cricket stadium, swimming pools(might be under construction). They also host a techno management fest called Advaitam every year in February which is really grand and there you might get a chance to meet/see some great artists. Overall my entire four years in NIT Agartala was really awesome and I didn't find anything negative about NIT Agartala as well as Tripura. So if you ever get a chance to study there just go for it, you will never regret. Hey bro how are you doing . Hello guys, in one of my previous post I have explained how can you deploy your simple application to AWS. In that post, we have created an AWS cloud account and then ran an ec2 instance manually using the AWS console UI and then by doing ssh into the machine from our local, we were able to deploy our application to the AWS. But this is not always a best practice to follow. This will be best if we could do this just by running some script once. Actually, there are a couple of services which actually does the same thing for us and makes our life much easier. Ansible is one of such service which we can use to create & configure AWS. In this post, I will explain how we can use ansible to start an ec2 instance and then deploy our application in that instance and finally terminating the instance when we are done. 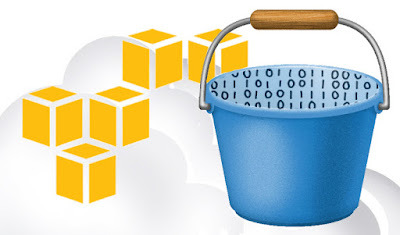 Hello guys, in this tutorial I will show you how we can use amazon s3 bucket with nodejs to store your files and fetch them whenever required. Before we start let me explain what exactly is s3 Bucket. Basically, amazon s3 is a cloud storage where you can store your data (pictures, videos, documents etc). S3 buckets are very simple to configure and have high availability and high security which makes it very popular. In s3 buckets you can easily do some important stuff like restricting access to some users, scaling as much as you want and also automatically determining the life of the items which are getting stored. Hey guys today I will explain how to integrate a payment gateway into your WordPress website for donation purposes. I was searching this for a long time but always end up with plugins which were using Paypal or stripe only. So the problem with them was that they mostly accept credit cards or their specific accounts but I wanted something generic with all the available payment options like credit card, debit card and net banking. And also I was looking something with Indian currency option preloaded but Paypal does not support this. And most of the available plugins with all these options were dependent on woocommerce so we can use them only if we have a woocommerce plugin preinstalled, but we might want to add a donation option to a normal WordPress website also which is not using woocommerce.